According to English daily The Telegraph, Manchester City are eager to sign Leicester City full-back Ben Chilwell. 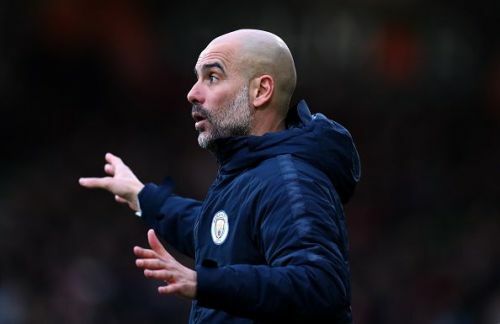 Manchester City are on the lookout for a left-back, with Benjamin Mendy injured, and the Leicester City defender is on the radar of the Citizens. Chilwell is regarded as one of the most underrated fullbacks in the Premier League. He has played almost every game for the Foxes this season. Besides providing stability to Leicester City's backline, he has also provided two assists in 27 league outings in the present campaign. "The long-term aim is obviously to be the first choice left-back for ten years to come and be one of the best left-backs that England has ever had." Chilwell is a world-class talent and he could be one of the best left-backs in the league, and it shouldn't come as a surprise that he is being linked with Manchester City. Manchester City have a bunch of world-class footballers in their ranks. Their forward line is regarded as one of the most destructive in the Premier League. They have a few talented defenders as well, but the left-back spot has been a dodgy position for them. Mendy, who has often struggled with injuries during his time at the Etihad, has managed only 9 Premier League appearances in the ongoing campaign. Manchester City boss Pep Guardiola will be looking to strengthen the left-back position in the summer, and Chillwell could be an ideal signing. Although Oleksandr Zinchenko has been playing well recently, Chilwell's work-rate and speed should come in handy for the Citizens. It could be a good deal for all the parties involved. Leicester City could ask for a huge price for Chillwell, who would relish at the prospect of playing for a top English team. And with City having no dearth in cash, this move could well be on. Manchester City, who are currently one point clear at the top of the Premier League table, will next face Watford on Saturday.